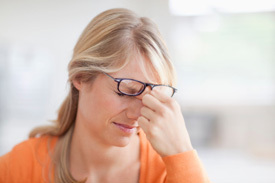 Suffering with headaches or other health concerns? Give chiropractic a try and don’t miss out on the life you could have with optimal health! Depending upon your problem, how long youve had it and countless other factors, you may enjoy relief in as little as one or two visits. But be aware– without regular care youre inviting a relapse of your original problem. Adjustments are designed to help the muscles and ligaments heal and bring your body back into alignment. This happens with continued care after symptoms subside. After enjoying a reduction in your original symptoms, its wise to continue your care so more lasting changes can be made. Some find that it can take months of chiropractic to see a lasting resolution of their problem. Others are amazed that health issues that they didnt think could be affected by their original problem begin to heal as well. You may choose to continue receiving chiropractic care on a periodic basiseven when youre feeling great. The objective is to help you get well and stay well. Why not strengthen your bodys ability to handle life stresses before they become full blown problems? Thats the same reason for receiving periodic eye or dental exams. Benefit from chiropractic care for as long as you wish. After all its your health, so its your choice. Call one of our member chiropractors and get started today!